MIUI (pronounced mee-yoo-eye) is one of the more popular custom ROMs for Android. It is known for its distinct looks, enhanced apps for Music/Gallery/Camera and, of course, the enhanced notifications drawer. MIUI is now available for the recently released Galaxy Nexus in the form of an unofficial alpha build that has most features working. Check it out after the jump! News of the custom ROM comes from XDA Developers – a popular forum for Android modding and development – in the form of a short post on their official blog in which discuss MIUI for the Galaxy Nexus. 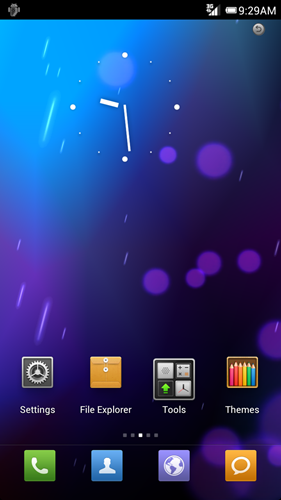 Based on Android 4.0.3 Ice Cream Sandwich released on AOSP and developed by DroidVicious, ViciousMIUI is an unofficial, alpha release of MIUI for the Galaxy Nexus. Since it is an early build, there are plenty of known bugs and as more and more people test the ROM, more bugs are bound to be found. Data works confirmed 3G and 4G work and are being displayed and registered properly!! ADB works, ADB remount is in the next update that I should have up in a few hours.. Please ensure that your Galaxy Nexus has its bootloader unlocked, is rooted and has ClockworkMod Recovery flashed. After unlocking the bootloader, you can follow our guide on how to root Galaxy Nexus on Android 4.0.2/4.0.1 and then how to flash ClockworkMod Recovery. Step 1: Download ViciousMIUI [XDA Thread: GSM/LTE] and place it directly under /sdcard directory on your Galaxy Nexus’ internal storage. Note: Separate .zip files exist for GSM and LTE versions of the Galaxy Nexus. Be sure to download the correct version, otherwise you may damage your device. Step 2: Shut down your Galaxy Nexus. Once shut down, press and hold Volume Down + Power buttons to boot into ClockworkMod (CWM) Recovery. Step 3: From CWM, take a nandroid backup from backup & restore. This may come in handy if you wish to revert to your phone’s current state after flashing MIUI. Step 4: Once again, from the main menu, wipe data/factory reset, wipe Dalvik cache. Step 5: In this step, we will finally flash MIUI to your Galaxy Nexus. Select install zip from sdcard > choose zip from sdcard > [.zip file you downloaded in Step 1]. Step 6: From the main menu, select reboot system now. If you followed the steps correctly, your Galaxy Nexus will now boot into ViciousMIUI based on Android 4.0.3 ICS. For queries, check out the official thread for GSM/LTE Galaxy Nexus over on XDA.